At SnowCap Community Charities, any amount of support can make a big difference for those needing a little extra help in East Multnomah County. 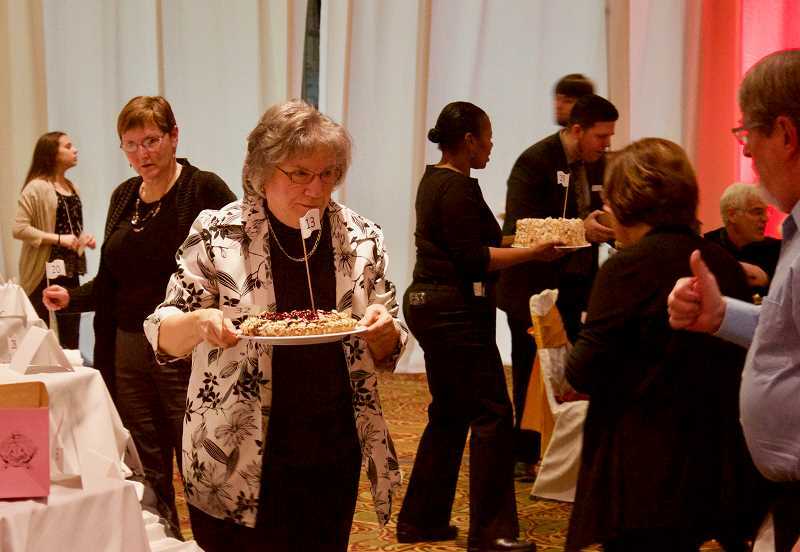 All it takes for the nonprofit food pantry is $25 to feed someone for an entire year — which is what makes events like the annual dinner and auction so fruitful. SnowCap held its 17th annual dinner and auction, "A Recipe for Compassion," Saturday evening, March 16, at the Holiday Inn, 8439 N.E. Columbia Blvd., in Portland. The event raised $147,000 for the group. "SnowCap is a conduit of caring and compassion," said Kirsten Wageman, the organization's executive director. "This is my favorite night of the year." With hundreds of people attending, it was the largest dinner and auction ever for SnowCap. "We are all here to support SnowCap," said Pastor Don Frueh, who served as emcee. 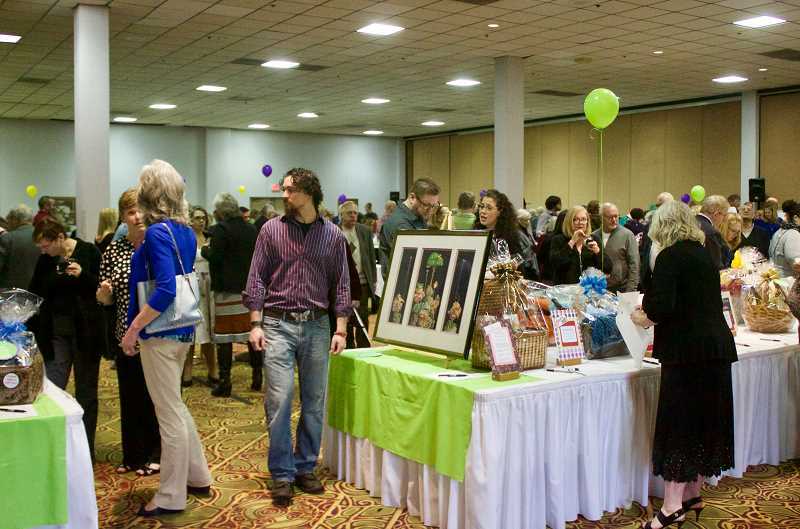 The event included a silent auction filled with items donated by businesses and groups from around the region. 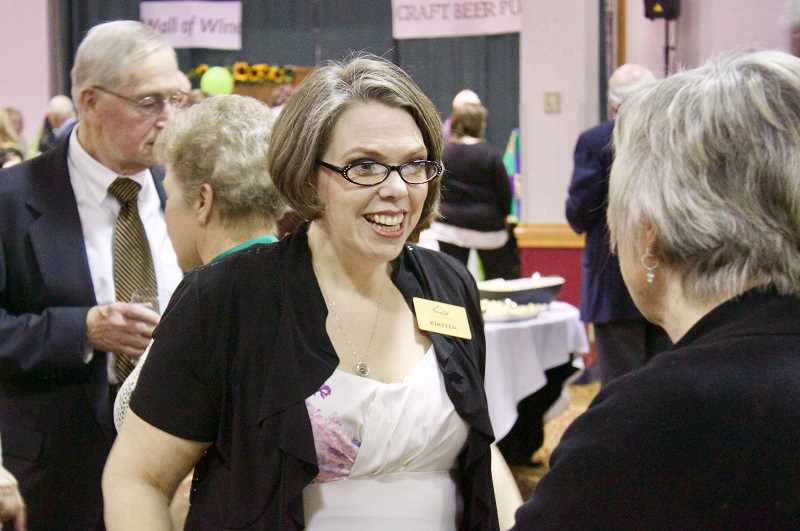 A chocolate raffle, wall of wine, craft beer pull and Fly Alaska airline ticket deal were all popular raffles. The live auction made for some fun competition, as did a dessert dash that had those in attendance hustling for tasty treats to the tune of $13,000. A final paddle raise to support the nonprofit group brought in more than $34,600, which will help about 1,384 families. The dinner and auction was made possible thanks to hardworking volunteers and support from sponsors, including Walsh Trucking, Pacific Power, Portland General Electric, Covenant United Presbyterian Church, Parkrose Community Church of Christ, The Boeing Company and many more. During the dinner, Faos Events/Expo Quinceanera N.W., which helped with the decorations, made a $1,500 surprise donation to SnowCap, pledging they will always be there for the nonprofit organization — a sentiment shared by everyone in the room. Who: Anyone living east of 82nd Avenue within Multnomah County, who needs help with food or clothing. Bring a recent piece of mail if you are housed. Where: Behind the Rockwood Center at 17805 S.E. Stark St.